Backstage Pass caught up with Juliette Burton ahead of her performance of her Edinburgh Fringe smash Look at Me at the Museum of Comedy on Monday 22nd September. We were lucky enough to see one of your sold-out performances of Look at Me at the Fringe, how did you find the audience reaction? Thank you for coming to see the show! The audience reaction at Edinburgh Fringe was incredible: utterly overwhelmingly positive. People seemed even more passionate about this show than any of my previous shows. It means everything to me to have such a fantastic response. I just want to share the show with even more people now! The reaction on Twitter was ridiculously strong and such a relief after so many months of hard work went into creating it! Just get a small dose of that positivity by checking out the reviews on my website. Audiences may well be shocked by what they learn in Look at Me, what do you hope they take away with them at the end? All I ever hope audiences leave with is hope and a renewed sense of positivity - I want people to leave feeling like they can take on the world and really knowing how incredibly awesome they and their amazing bodies are. And I'd like people to think twice about first impressions a bit more willingly too. How have you coped with the post-Fringe slump in activity? Slump in activity?! What slump?! I have been working really hard since the Fringe - perhaps less on stage but more on planning and preparation for future tours and meeting with interested parties for future projects and performances. One of my friends observed that Edinburgh Fringe is like going to war and the only way to cope with not being at the Fringe is by planning for the next Fringe. So I'm afraid I am still working just as hard as ever on the next steps in my career! Exciting times! What's next for you after London on Monday? Immediately after the show on Monday I head to Manchester for meetings about future shows and touring this show, then in October I will be performing 'Look At Me' and previous show 'When I Grow Up' around Scotland and the rest of the UK, hosting award ceremonies and writing my new show. Between now and Christmas a lot of big decisions will be made and I can't wait to share the developments with everyone! 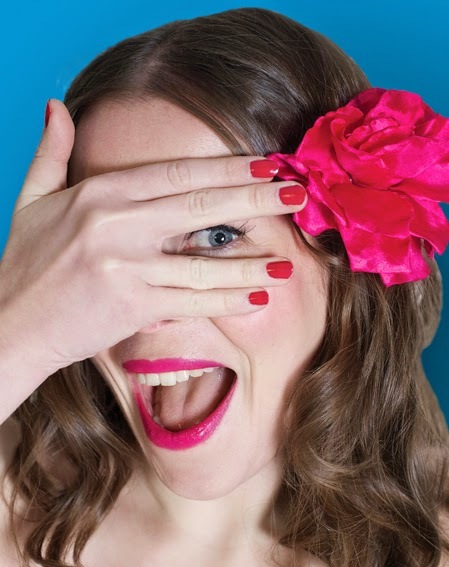 You can follow Juliette on Twitter @JulietteBurton, Facebook (JulietteBurtonWriterPerformer) or sign up her newsletter at www.julietteburton.co.uk to find out more!